So things happened yesterday in and around Schembechler Hall. First and foremost, spring ball was kicked off by Brady Hoke's press conference. Among the many questions vaguely answered, a few highlights. • LB Kenny Wilkins is out. This opens up a scholarship. Not a huge loss. He was buried on the depth chart. If you can stomach it, mgoblog dissects RichRod's decimated 2010 recruiting class. Yeesh. • Fitz Toussaint is up and running, and will participate (sparingly) in spring drills. His recovery is coming along much faster than everyone predicted. • Blake Countess, Chris Wormley and Chris Bryant are all healthy. Wormley doing very well. • Punter Will Hagerup is still suspended. • Devin has had a "tremendous" off-season so far, embracing his role as a leader. 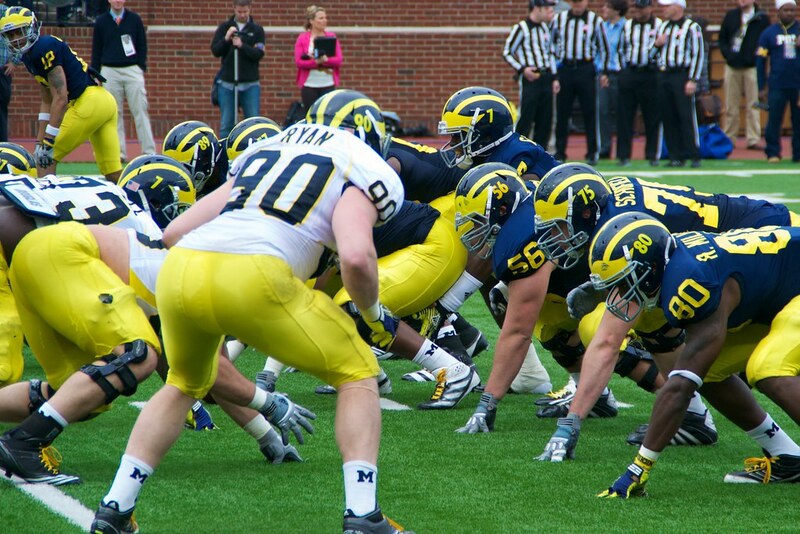 • Hoke wants to have a real, actual spring game. Depth is there. Says we'll see.